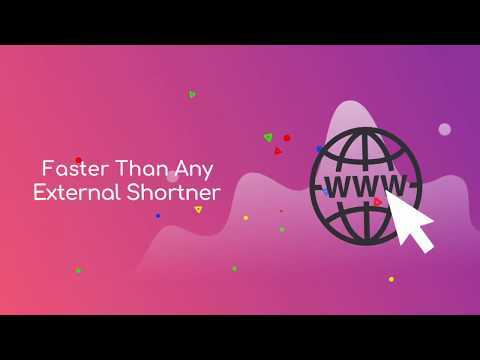 URL Short Link Generator is a desirable Shopify App for webmasters looking to leverage social media. It helps you to create a short version of your URLs that you can share on social media or via word-of-mouth, it’s Pretty Beautiful, Right?. Long URLs can be tough to pronounce and pretty hard to remember. Our app fixes all your problem with shorten URL. Then the URL Short Link Generator Is the perfect destination to solve your problems. It is extremely simple-to-use, and you will be able to run in a minute, like a 2 mins quick Maggie!. No custom configuration is required, you are just a few clicks away for shorten URL. Multiple short link generator at one place like tiny link and bitly link along with available analysis results. With this app, you can generate product short links with the selected variant, generate page link, category link as well. The best feature of this plugin is, it helps you to hide affiliate links. Because Pop-up of an affiliate link is like a headache for us. That’s why we made it like a way to hide affiliate URLs and referral data with the URLs. You will be benefited by getting a direct hit on your URLs. When you create too many short links, managing them can be a pain again. To counter that we made it easy for you to organize your shortened URLs into different tabs so you can easily navigate. If you like URL Short Link Generator, please leave us a ★★★★★ rating. A huge thanks in advance!